As you can tell by the length of this headline, we’re officially back in full swing. This weekend’s lineup is massive, with shows spread across three cities, multiple venues, and even a festival! 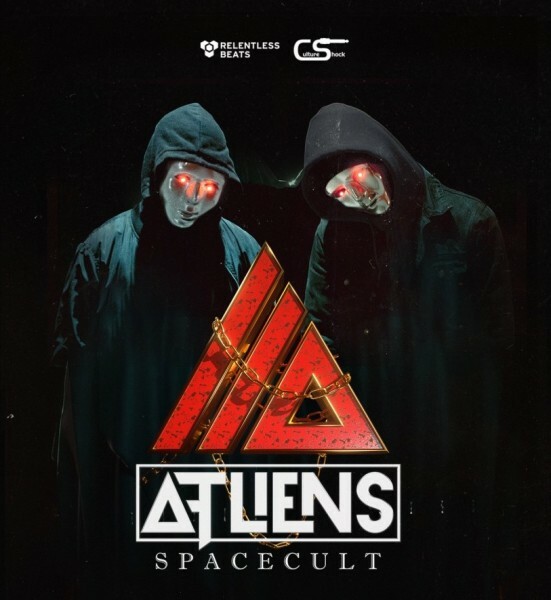 ATLiens starts the weekend in Flagstaff on Friday and hits Phoenix on Saturday. Also Saturday, we’ve got Boogie T.Rio at Crescent Ballroom, Luttrell at AURA, and Destructo with J. Worra at Shady Park. Taking place on both Saturday and Sunday is Arizona Roots Music & Arts Festival. You’ve got plenty of choices–find out more below. Hailing from Atlanta, Georgia, the masked DJ/producer duo known as ATLiens has been on a steady rise to stardom. The mysterious pair have spent the last few years crafting their hard trap and bass sound. Their 2017 Bassnectar collab, “Interlock,” brought that signature sound to a huge audience. Since the release of their Invasion EP last year they’ve only continued to grow in popularity. Most recently they dropped a hot single “IMMA” and have been hitting the road to showcase their sound. At the heart of the EDM scene, actually at the heart of any music for that matter, is live, raw, and unfiltered talent. Most producers picked up some sort of instrument before they got behind the decks and Brock Thorton, also known as Boogie T, is no exception. Hailing from New Orleans, Thorton grew up in a hotbed for soulful, funky music. 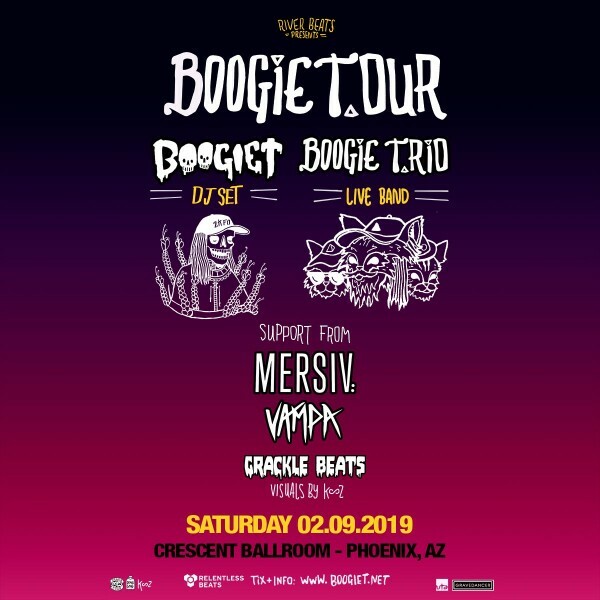 He’s already a staple in the dub world, but his newest project, Boogie T.Rio, gathers all of his musical knowledge and bundles it into one jam-packed masterpiece. Consisting of Thorton on guitar and vocals, Andriu Yanovski on the keys, and Frank Castro on the drums. 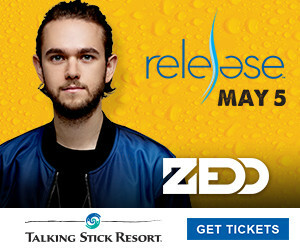 Their debut came last year at the second weekend of Electric Forest and garnered great reviews. Their sets contain a huge mix of jazz, funk, hip-hop, and everything in between. Using their own originals, covers, and a few re-imagined versions of Boogie T tracks, their live show is something to behold. While 2018 saw DJ and producer Luttrell perform at major venues worldwide, including Bill Graham in San Francisco and Phonox in London, as well as festivals like Coachella, Holy Ship, and Tomorrowland, 2019 is setting out to be the San-Franciscan producer’s biggest year to date. The artist just released his debut album Into Clouds on February 1 via Anjunadeep. 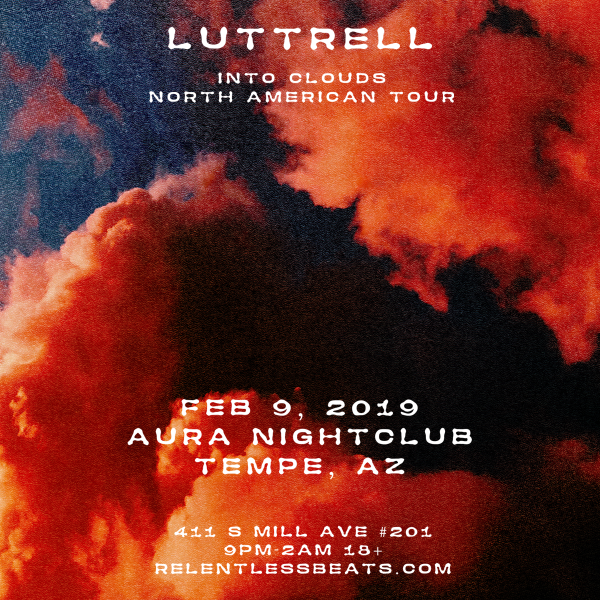 Luttrell explained the upcoming 10-track LP was a deeply personal venture, about “doing your best to recognize and appreciate the beauty – both in the good times and the bad.” Experience it live this weekend. 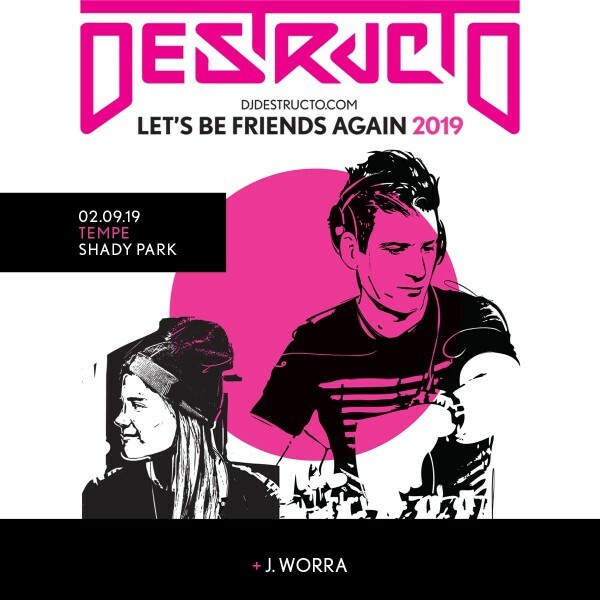 When he’s not busy managing a label, an event company, and releasing hit music, Gary Richards aka Destructo, hits the road with all his friends. Named one of “50 Most Important People in EDM” by Rolling Stone magazine, Richards has racked up an impressive list of accomplishments throughout his career including founding the influential HARD Events brand and launching it to what it is today, creating the cruise festival, Holy Ship! as well as the recently curated FRIENDSHIP, joining LiveStyle North America as President in 2017, and maintaining a highly successful career as a DJ. We can’t wait to see what this second round of his Let’s Be Friends tour brings. Born and raised in a small town North of Chicago, IL, J. Worra aka Jamie Sitter has always been drawn to different genres of music. In 2011, while living in Chicago, she finally dove head first into DJing and music production. She mentions some of her biggest influences are Green Velvet, Gene Farris, Chris Lake, and Billy Kenny. After holding several residencies in Chicago like SpyBar, The Mid, and more, Jamie decided that it was time to head West and see what Los Angeles had to offer. Even though she is now in LA, you can still hear the sounds of her roots in all of her production. 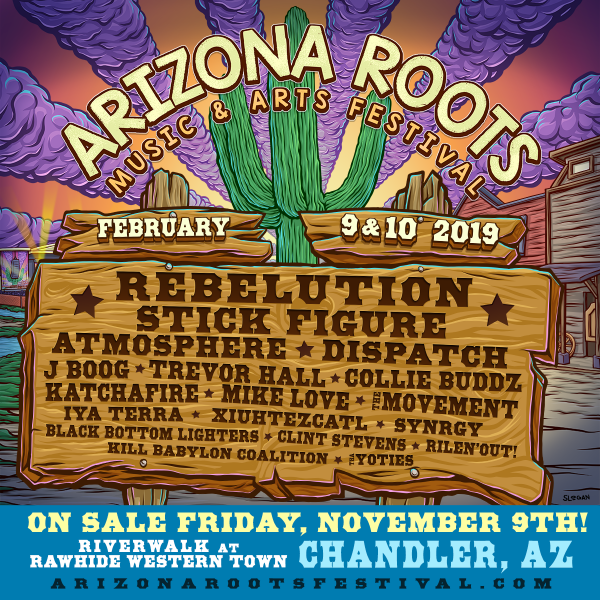 The first Arizona Roots Festival is here. 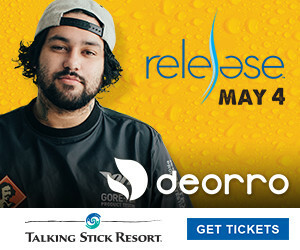 Get ready for an immersive experience with some of your favorite bands including Rebelution, Stick Figure, Atmosphere, Dispatch, Collie Buddz and so many more! It all goes down at Rawhide Western Town. Get more info here.